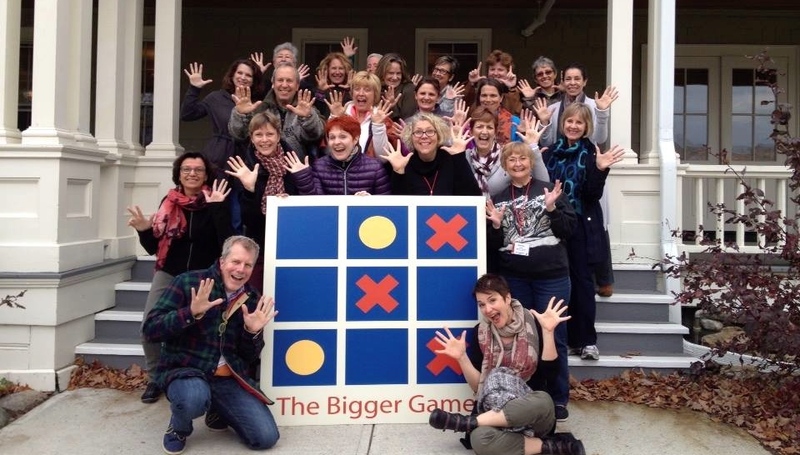 The Bigger Game 2-Day Experience is an intimate workshop designed for up to 26 participants. 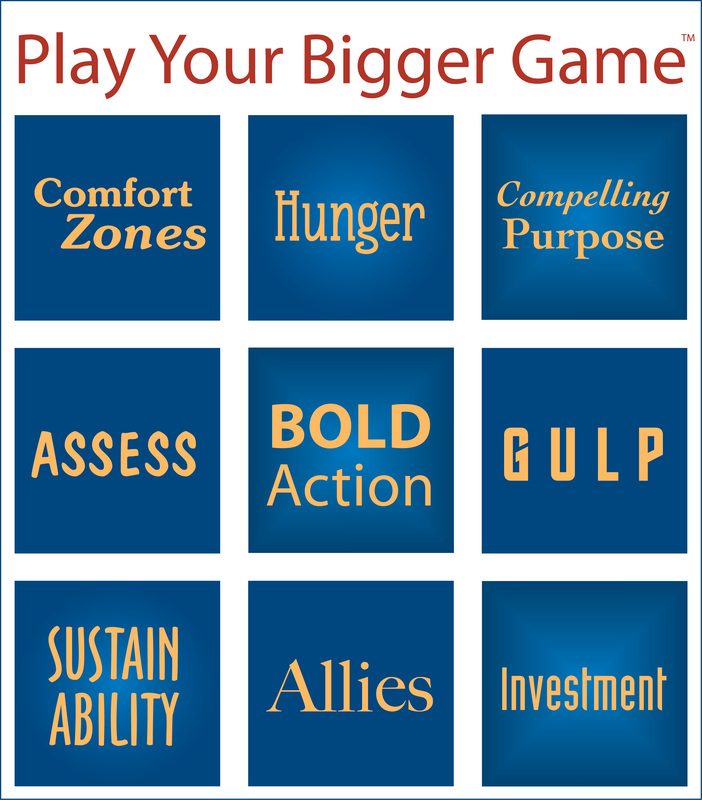 At its core, The Bigger Game will help you find your compelling purpose. It is an innovative philosophy and methodology that guides you to create a set of circumstances that will intentionally design who you want to become. The Bigger Game will inspire and motivate you to keep stretching, achieving, and thriving above and beyond any boundaries or limitations that might have held you back in the past. 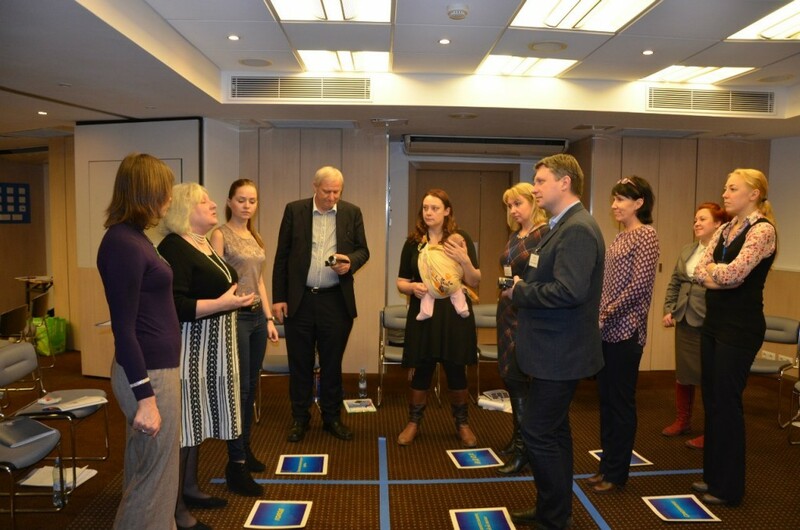 This training is highly interactive and includes a combination of theory presentation, full group experiential exercises, one-on-one coach-like conversations, small group interactions and inspirational video examples of Bigger Games. At times you’ll experience thrill, fear and excitement – all at the same time. We call this the GULP! The Bigger Game has proved to be life changing for players around the world, and if you truly embrace the Game Board, it will be for you too. Reveal yourself as a Bigger Game Player. Learn the Bigger Game philosophy and methodology. 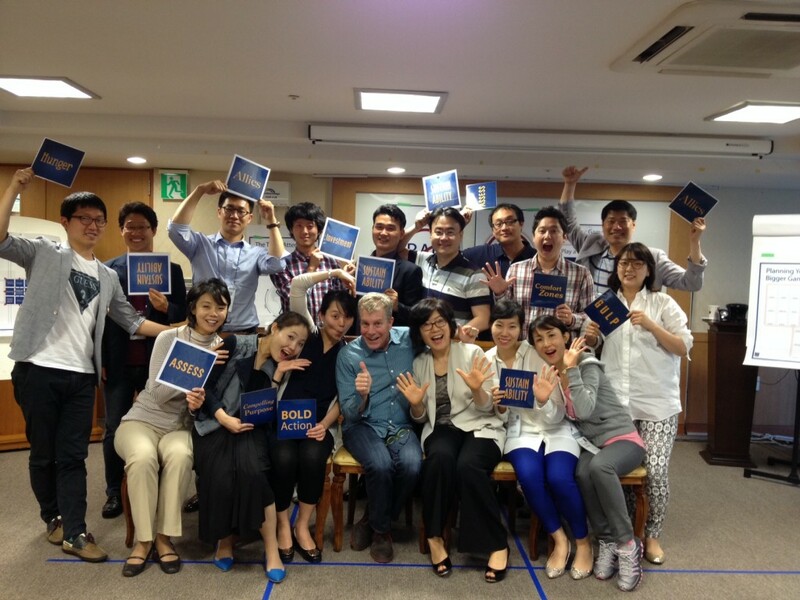 Develop a new relationship with passion, purpose, commitment and action. Name a “working title” of your Bigger Game. 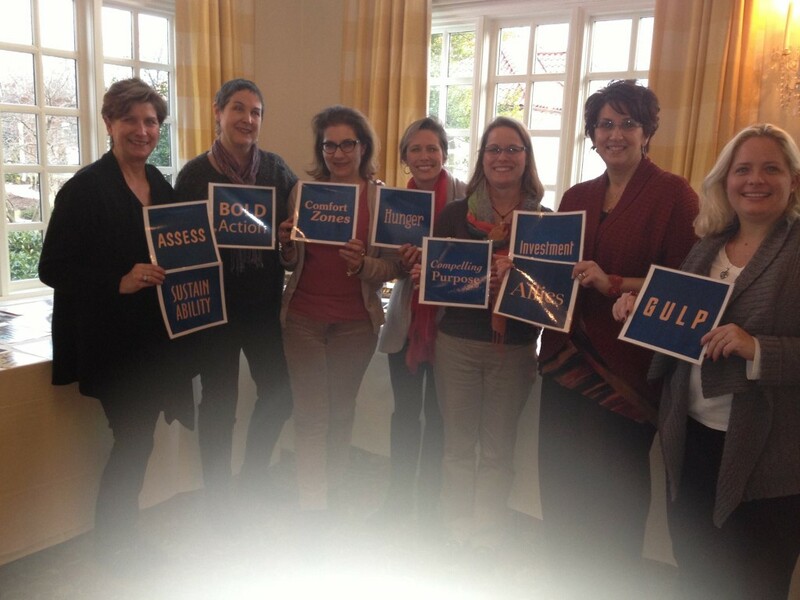 Create allies to keep you in action. 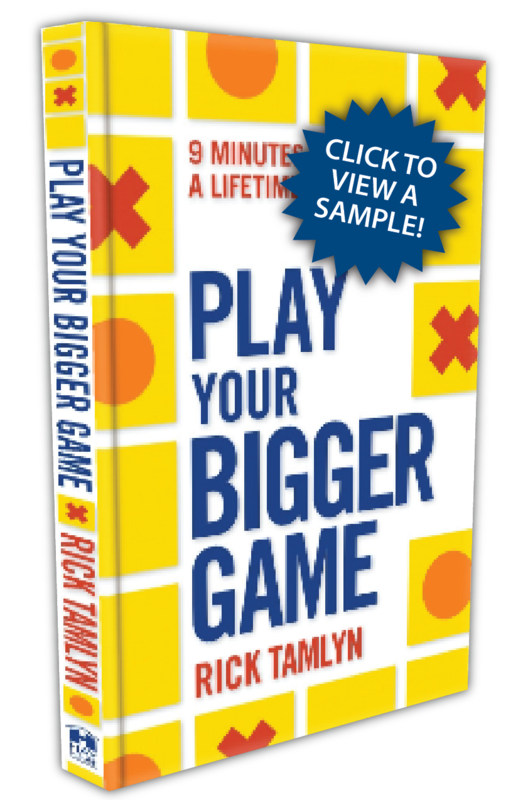 Bigger Game 2-Day Experience public (open enrollment) workshops are offered by co-founder Rick Tamlyn and select Bigger Game Certified Trainers. 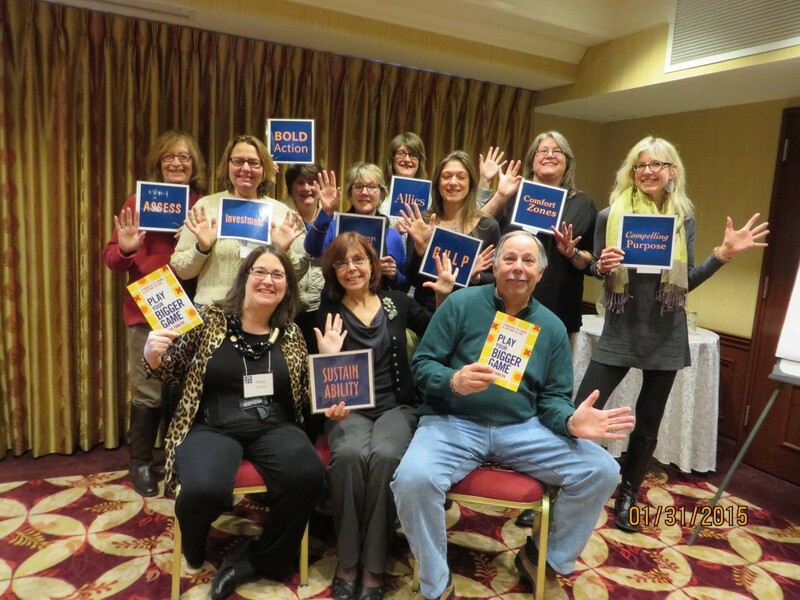 Click here to see a complete list of upcoming workshops. 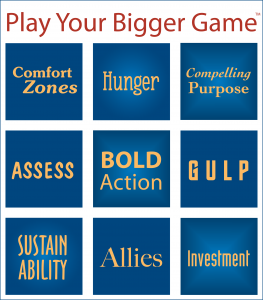 If you’re in the mood to be inspired and spurred into action, you’ll love The Bigger Game. 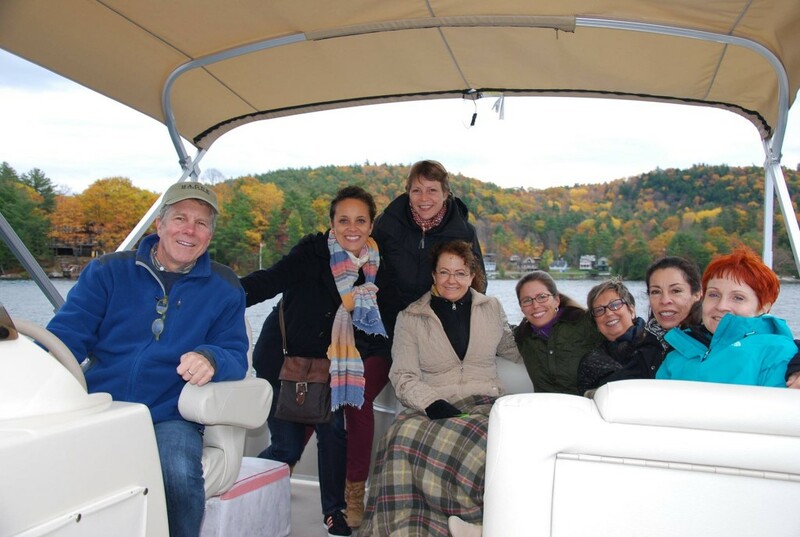 In two fast-paced, thought-provoking and absolutely enjoyable days, you’ll find yourself making life-changing choices that will lead you in wonderful and immensely satisfying directions. Bigger Game catalyzed a huge perspective shift that gave me the confidence I needed to finally begin my life’s work of changing education. The Indigo Project was born of this magical weekend. The Bigger Game enabled me to gain clarity about my future direction in unexpected and delightful ways. The visual I created to depict my Bigger Game hung in my office for six months where, every day, it focused attention and activities. Six months later, my vision became reality. I am so appreciative of the Bigger Game for reminding me that individuals with the right beliefs and focus can play big in the world.